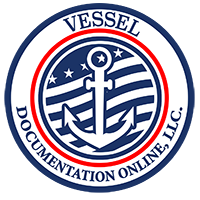 Vessel Documentation Online, LLC is a Private Fee for Service Agency, NOT the U.S. Coast Guard. THE NVDC WEEKLY CASE PROCESSING REPORT IS A GENERAL GUIDE ONLY. THE DATES LISTED ABOVE ARE THE APPROXIMATE FILING DATES FOR PAPERWORK CURRENTLY BEING PROCESSED FOR THAT PARTICULAR WORK CATEGORY. Where to Find the Coast Guard Application You Need?